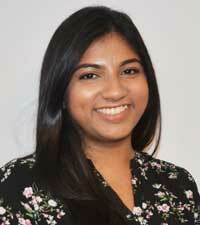 Nuwanthi’s research interests include trade and international political economics including the role of trade negotiations, sanctions and international relations as well as topics in development economics. She is currently working in the International Economics Unit at IPS on research relating to international trade and trade agreements. Nuwanthi holds a MSc with Distinction in International Economics, Finance and Development from the University of Surrey, UK and a BSc(Hons) in Economics and Finance from the University of Southampton, UK. Wijayasiri, J. Senaratne, N. (2018). China’s Belt and Road Initiative (BRI) and Sri Lanka. In García, A. China: BRI o el nuevo camino de la seda, (pp.373-401). Mexico City. National Autonomous University of Mexico. Wijayasiri, J. Senaratne, N. (2018). China’s Belt and Road Initiative (BRI) A sustainable partnership for Sri Lanka?, in Sri Lanka: State of the Economy 2018, Institute of Policy Studies of Sri Lanka. Wijayasiri, J. Senaratne, N. Country Update: Barriers for SMEs to export at regional and international level. Report for CUTS International.